Glover Park—the quaint and quiet escape from the big city. Many refer to Glover Park as the perfect neighborhood to reside in because of its balance of easy-going charm but close proximity to dining and entertainment destinations. Along Wisconsin Avenue, you’ll find plenty of storefronts and even a movie theater, but it magically still retains the charms and feelings of a small town. 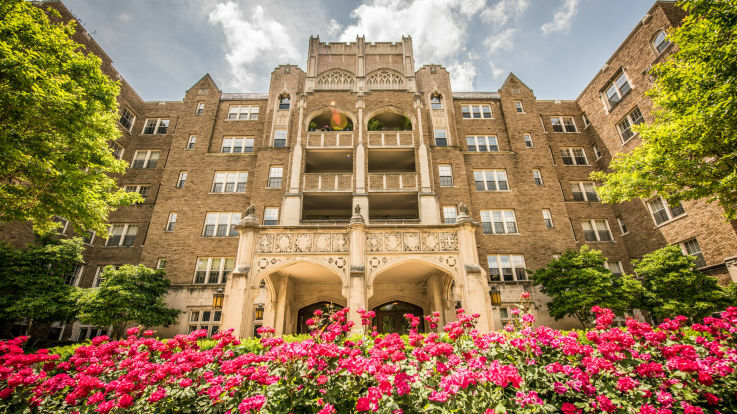 For those of you who enjoy exploring the city but then escaping back to the peace and quiet of home, Equity’s offering of apartments in Glover Park is definitely worth a look. In addition to the dozens of restaurants and fun activities, Glover Park conveniently contains access to several bus and transit routes such as the D1, 31, 32, and 36. With Equity, it’s important that you have a comfortable place that you are proud to call home. Inside many of our available apartments in Glover Park, you’ll likely find fireplaces, private balconies, spacious walk-in closets, fully-equipped kitchen layouts and more. Explore our fine selection of available Glover Park apartments today because we’re confident that you’ll find the perfect place to call home in no time.